Renewable energy developer Lacour Energy has been given the green light for its hyrid West Australia based $250m Kondinin project. Let’s take a look! The Kondinin project will have 120MW of wind energy, 50MW of PV solar and also battery storage (specifics not yet released). The hybrid system will mean that the grid connection costs can be shared between the wind and solar farm. 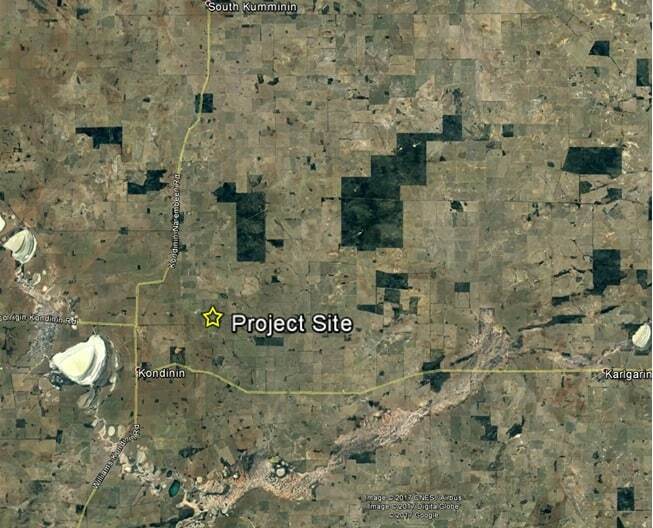 “The Kondinin project location ticks all the boxes to be one of the lowest cost projects in Western Australia,” Lacour director Mark Rayner said. “Wind is likely to be 120MW, solar 50MW. All of the different components of the project are independent, however, and it may be that the wind farm proceeds alone without the solar or battery or vice versa depending on the outcome of the final feasibility work,” Rayner said. Chinese wind power specialist Goldwind will supply up to 46 of their wind turbines and also manage the construction of the project, which is expected to run from 18-24 months. Construction on the farm is expected to commence at the end of the year and will create around 400 solar jobs for Western Australian Solar. Please click here to view the official website of the project.